Over the past month or so, I've been trying different recipes and methods for baking muffins that consist of eggs, cheese, meat (sausage, bacon, ham, etc) and other items such as chilis. In other words, no carbs. Just small little packages of yummy protein. 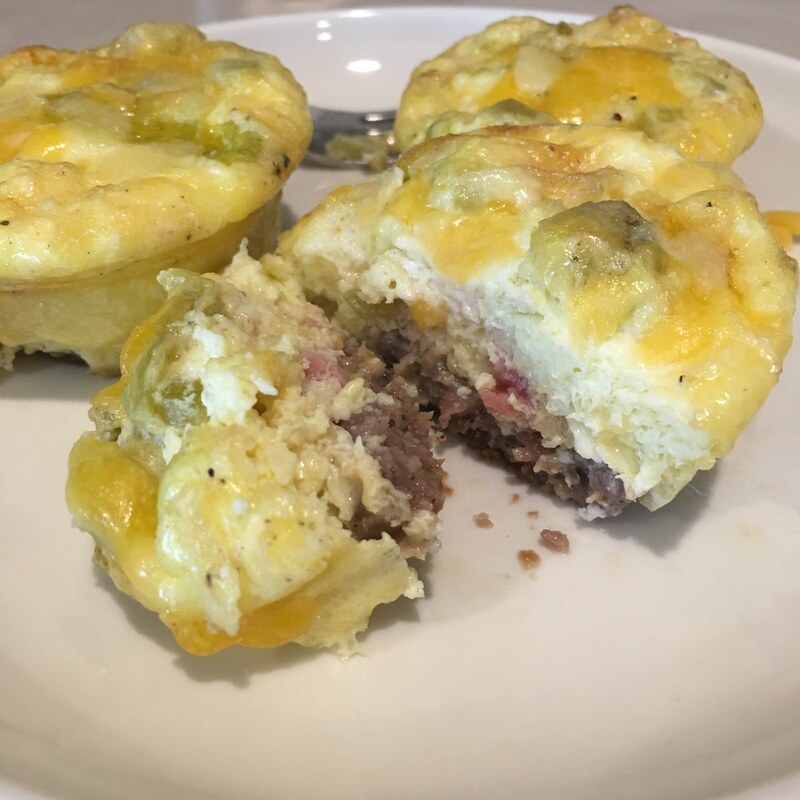 I like to bake two dozen of these at once as one pound of breakfast sausage (I used Jimmy Dean's All-Natural Original) is perfect for 24 muffins. 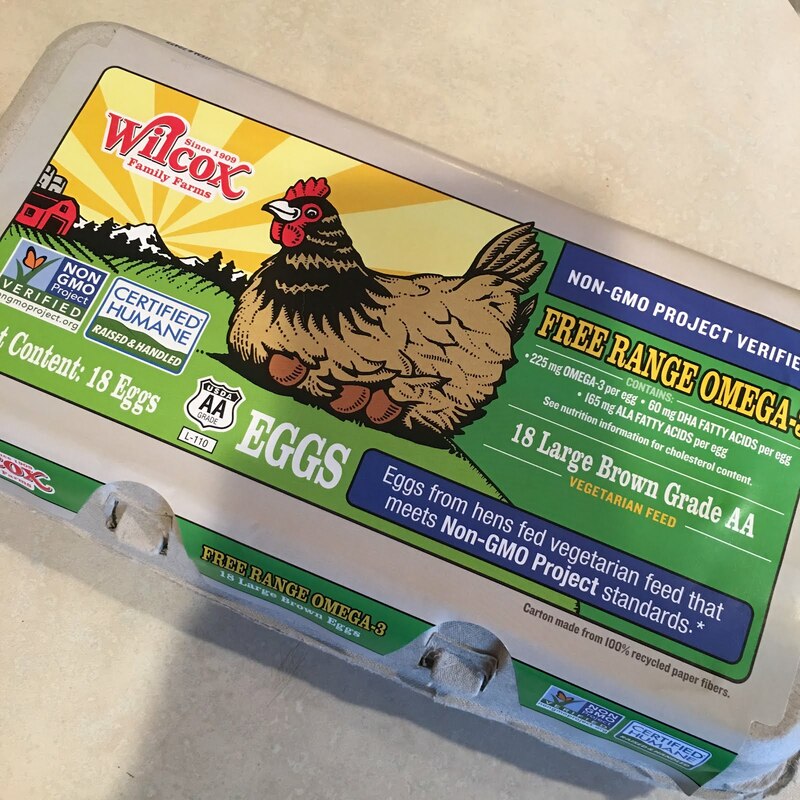 They keep really well in the fridge and warm up quick in the microwave. 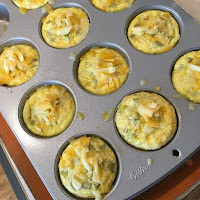 So the recipe below will yield 24 regular-sized muffins. Customize the type and quantity of ingredients to suit your needs. 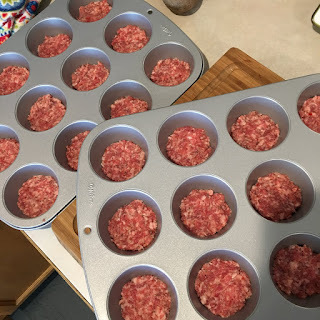 Press the sausage in to the bottoms of two muffin pans. Note: I have the really fabulous new muffin pans from Wilton that NOTHING sticks too (not even egg, not much any way) so I do not spray or grease my pans in any way. You know your pans and you know how much egg can stick so spray your pans if needed. 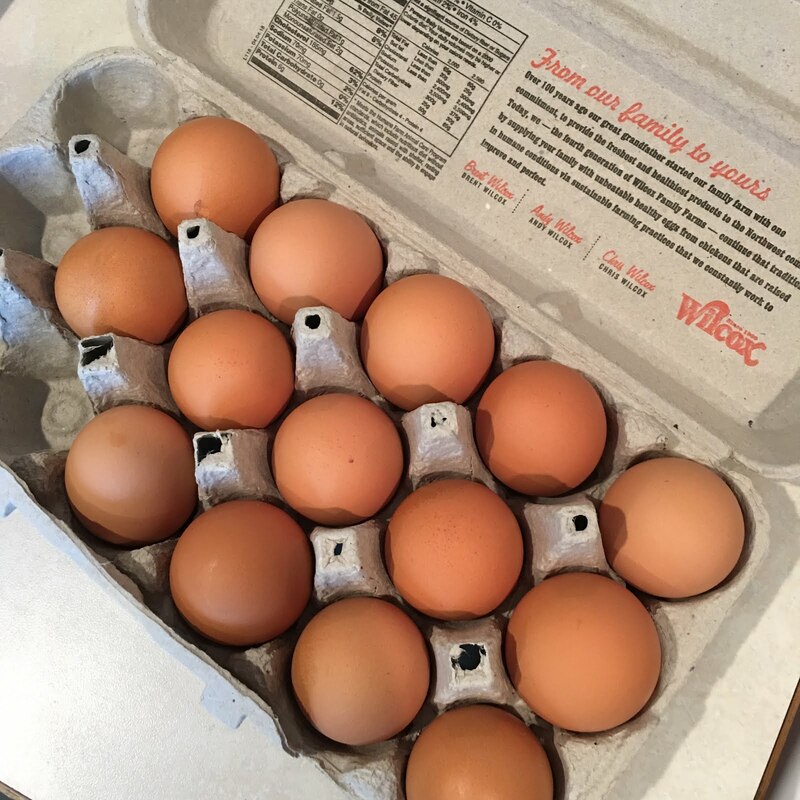 Break all eggs in to large bowl and add milk. Add salt & pepper to taste. Beat vigorously until well mixed and all yolks broken. 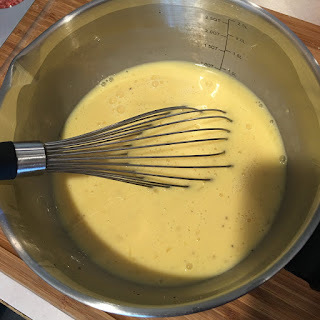 The more you whisk, the lighter and fluffier the eggs will be. Pour egg mixture over the sausage and then add your chosen extras to each one as desired. 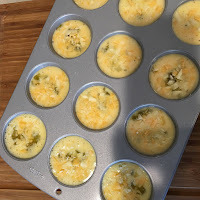 I added ham and cheese to these and then to half of them I also added some mild minced chilis. Bake for 25-35 minutes until cooked thoroughly. 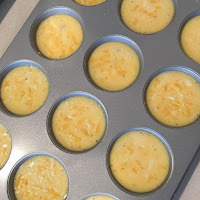 Sprinkle additional cheese on top when they are fresh out of the oven if desired. Press the sausage in to the bottoms of two muffin pans. See Note above regarding whether you need to grease the pans first or not. 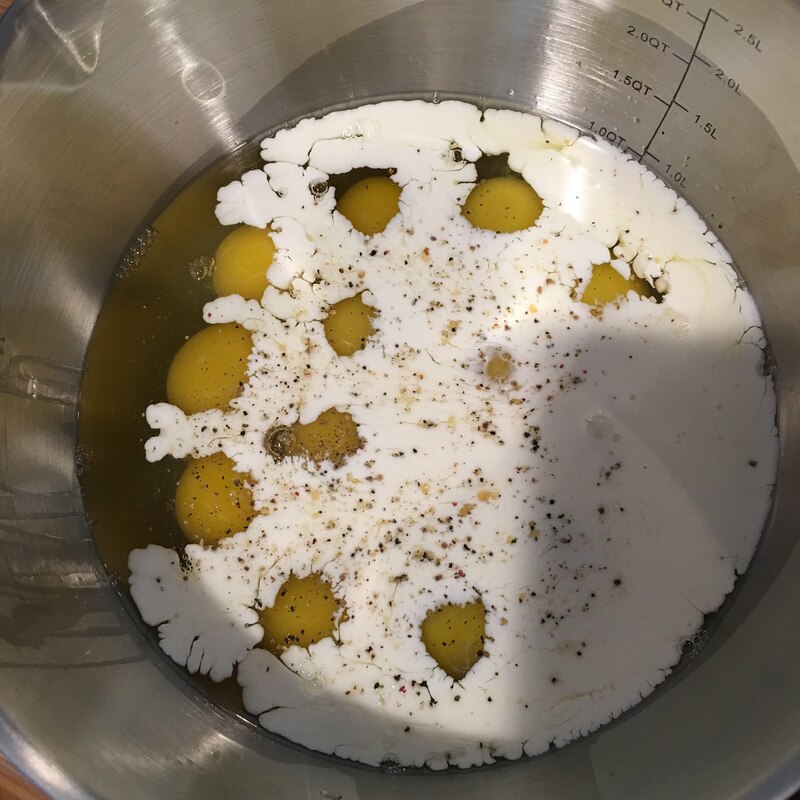 Whisk eggs and milk in large bowl until all yolks are broken. Season to taste with salt, pepper, garlic etc. Whisk again until well beaten. Pour the egg mixture over the sausage in the pans. Fill to around 3/4 full. The muffins will not rise very much so spillover is unlikely. 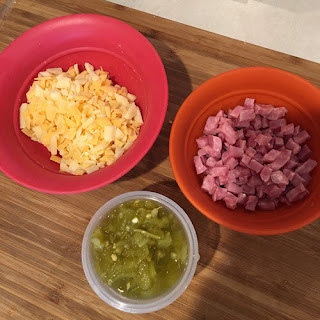 Sprinkle in additional ingredients such as diced ham, crumbled cooked bacon, cheese, chilis, peppers, veggies etc. Bake for 25-35 minutes or until done. I bake both pans at the same time on two different racks, switching them around after 15 minutes. I also put the muffin pans on a cookie sheet with a silicon liner on them just in case of spillover during the baking process. 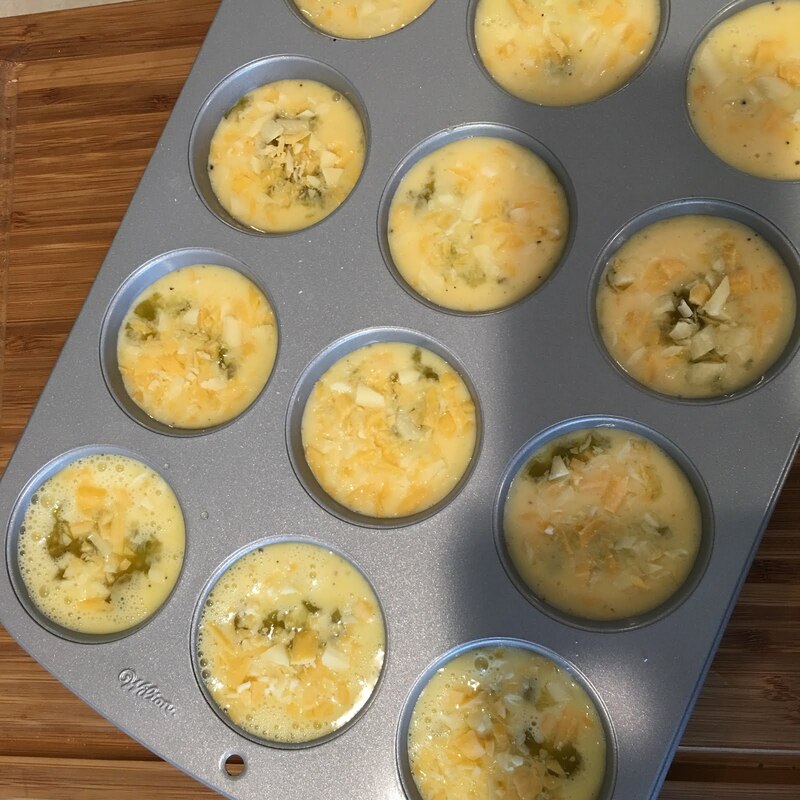 Immediately after removing from the over, sprinkle additional cheese over the top of them if desired. 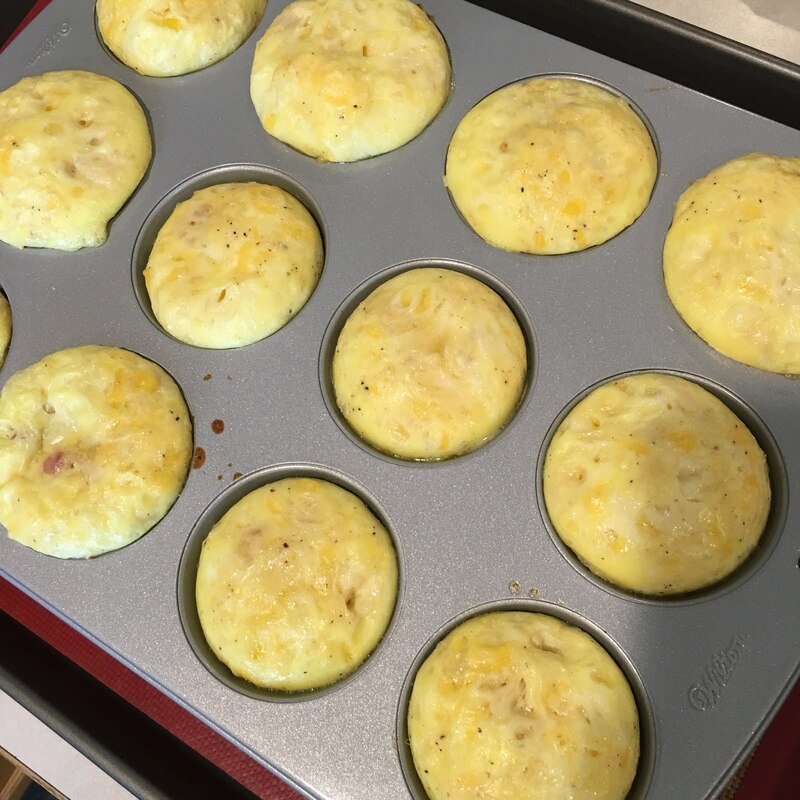 Muffins are ready to eat immediately after they are done. Allow to cool in the pan or put on a sheet or plate with paper towels on it to soak up some of the grease from the sausage (although these actually produced a lot less grease then I originally thought they would). 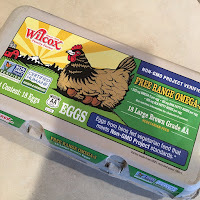 Store in fridge in airtight container for up to a week.